When it comes to optimizing your health, pH balance may not be the first thing you think of—though giving it more consideration will be in your best interest. This is because your body’s level of acidity has an effect on everything from your bone health, maintaining muscle mass, and even hormone production. And, should you find that yours is out of balance, there are corrective measures you can take which only require a little dietary and lifestyle discipline. Want more information about this highly important aspect of your health? Read on for what you need to know about your body’s pH, and how to keep yours balanced and healthy. Nearly everything around you has a pH, which includes the foods you eat, the fluids you drink, the ocean, and the earth itself. 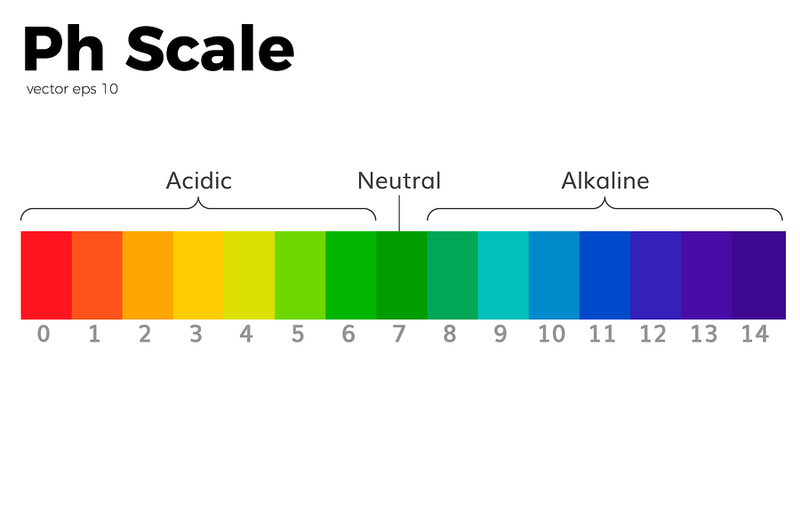 So far as your blood’s pH, it needs to be around 7.35-7.45 to be considered “healthy,” which means slightly alkaline is ideal. Naturally, when a nutrient’s main function in the body is to provide strength and density to bones, and that substance is being used instead to buffer excess acid in the blood, bone strength and density suffers. In fact, it has been estimated that with our modern acidic diet, as much as 480mg (about half your skeletal mass) may be lost through the urine over the course of 20-years. What does this tell us? That ALL components of good health are important, since most function in synchronicity with one another. This holds true not just with connections between cancer and acidosis, but in keeping a healthy BMI, cardiovascular system, digestive system, and all other aspects of your body’s functions healthy. You may have heard of the alkaline diet, which has many benefits, not the least of which is helping you maintain a balanced pH. This is because it is a diet which prescribes leafy greens, fruits, legumes, and other whole, plant-based foods while limiting or eliminating dairy, meats, grains and alcohol. There are also high-pH waters available—AKA alkaline water—which can help boost your blood’s alkalinity, and there are some foods which may surprise you for their abilities to increase your body’s pH despite their high acid content, such as lemons or apple cider vinegar (ACV). If you do give ACV a try (recommended), remember to ensure that you get organic, raw, and unpasteurized (look for “from the mother” on the label) for the greatest health benefits. Doing this will ensure that you get beneficial living enzymes and probiotics while avoiding pesticides and other toxins associated with conventionally grown fruits. When diluted with water, it has a pleasantly tart/tangy flavor, and you can also add lemon juice for additional flavor and alkalinity, as well as a touch of honey to add sweetness. While there are many foods which can naturally alkalize the body, there are also some acidic foods you need to avoid in order to maintain a healthy pH balance. 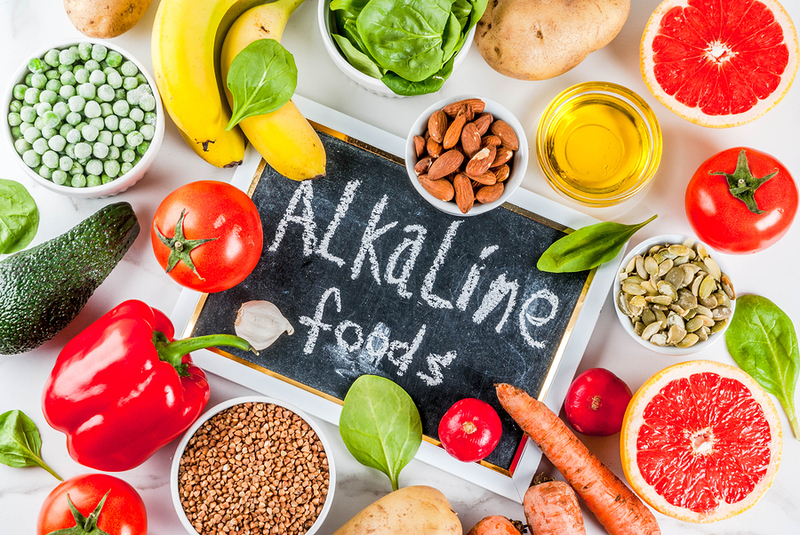 By limiting or completely avoiding these foods and increasing your intake of alkaline foods, you can better reduce your risk of the dangerous health conditions associated with acidosis. However, if your pH level is consistently too acidic, you are putting yourself in danger of osteoporosis, kidney stones, kidney disease, heart disease, cancer, and other dangerous health conditions. If this is the case, it is advised that you increase your intake of alkaline foods and fluids while decreasing or eliminating acid-producing foods. Doing this will better ensure your natural good health. Plus, organic fruits, vegetables, and ACV taste great, and this is the perfect excuse to consume more of them! Since your stomach is mostly acid, how can eating something alkaline make any difference?